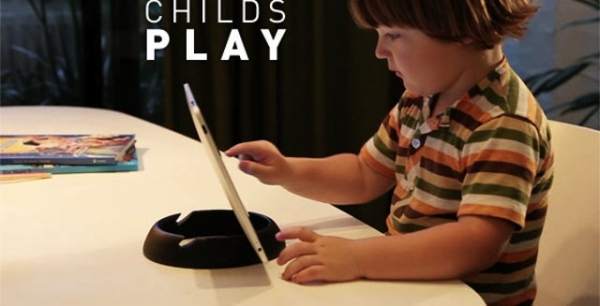 "The Halopad is - not surprisingly - an iPad stand in the shape of a halo. Not that you'll find this halo floating over the heads of saintly prophets - instead it is simply a chunky, lightweight plastic ring which has slots cut into it for propping the iPad at various angles. It's simple, it's cheap, and it's not ugly." It's usually the way I feel about most Kickstarter projects though, "why didn't I think of that?" If you get in early, you will save $9.99 USD off the future retail price of $29.99 USD.